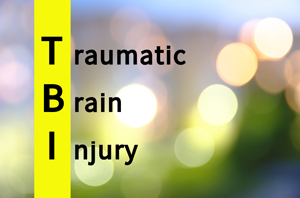 The Acquired Brain Injury (ABI) Waiver program provides intensive services and supports to adults with acquired brain injuries working to re-enter community life. Services are provided in the community or at an ABI participant’s home depending on what has been identified in a participants plan of care. The definition of an Acquired Brain Injury is an injury to the brain which is not hereditary, congenital or degenerative. An Acquired Brain Injury includes: central nervous system injury from physical traumas, from anoxia or hypoxic episodes, allergic conditions, toxic substances, and other acute medical incidents. Acquired Brain Injury does not include strokes treatable in nursing facilities providing routine rehabilitation services. It also does not include spinal cord injuries in which there are no known or obvious injuries to the intracranial central nervous system; and it does not include progressive dementia, depression and psychiatric disorders, mental retardation or birth defect related disorders and conditions which cause an individual to pose an unmanageable level of danger to the community. This is a one on one service to provide training or assistance to an individual who has the desire to reach specific goals. This can include a variety of activities such as shopping, household care, taking part in community activities, and other daily living skills that the individual needs to become more independent. Respite is available for a person who does not receive residential services and resides in their own home or their family’s home. This service is a short term support that is needed due to the absence or need for relief of an individual providing care to a participant. Personal care services provides assistance in performing a daily living activity by using repetitive, consistent, and ongoing instruction and guidance in performing task such as eating, bathing, dressing, personal hygiene, meal preparation, and housekeeping chores. This service is available to an individual on the acquired brain injury waiver who is not receiving supervised residential care. Supported Employment shall be offered for ongoing support on the job for a participant on the SCL Waiver if funding is no longer available through the Office of Vocational Rehabilitation. This is designed to assist in creating personalized employment opportunities for a person when the person needs support in finding, negotiating and maintaining employment in an integrated setting with competitive wages.